Your future retirement income from the scheme will be guaranteed. The amount you receive is based on how long you’ve worked for your employer and a calculation based around your salary. When you retire your pension is dependent upon how much you and your employer pay in, and how well your invested savings have grown over the years. You can pay pension contributions into your plan, and subject to certain rules the government puts some money in as well via tax relief. Your employer generally contributes to your plan. The amount of retirement income you receive from your pension depends on the type of scheme you’re a member of. Generally, the longer you’re a member the more you could expect to receive. If you’re over 55, most schemes allow you to choose when to take your money. A check of the rules of your scheme is always a top tip. If you’ve got a partner or dependants, then it could be possible to use your pension to take care of them if you die first. What’s the benefit of a group pension? Effectively, in a group pension it’s the fact that you’re all stronger together rather than apart. The charges and fees you pay are almost always lower. It’s also easier to keep you informed about your scheme, the investments and how they’re performing. Many schemes will provide access to financial advice to help with your retirement planning. Your employer will typically provide your options. 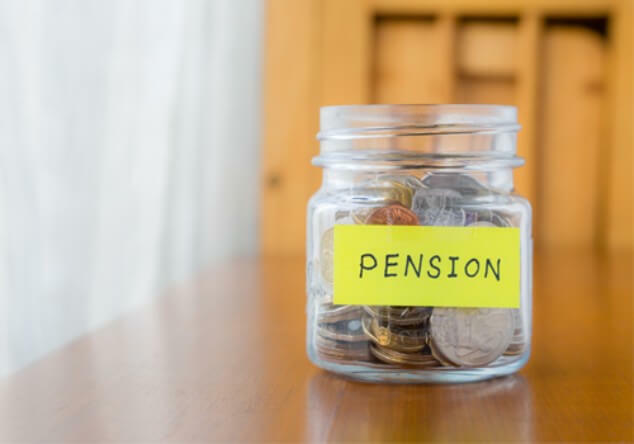 For personal pension arrangements including auto-enrolment schemes your plan can stay with your provider and your employer has no further involvement. In most cases, you can continue to pay in and ask your new employer too. You also have the opportunity to transfer to your next employer’s scheme, or into a private pension. For company final salary or certain money purchase schemes you can leave your benefits where they are until you retire, or transfer out. In all cases it’s vital to see seek regulated financial advise if you are considering a transfer. It’s especially important with final salary schemes as they provide guarantees for your retirement income. Remember though, you’ll be auto enrolled into your new employer’s scheme and it’s usually best to stay part of that in crowd!